Mistral Group wants to congratulate the organisers of the 2016 UK Coach Awards on hosting this year’s event in Manchester, celebrating the valuable contributions of the coach industry and its people. Representatives from both Mistral Asset Finance and Mistral Bus & Coach attended the event on Thursday evening, held at the Piccadilly Hotel in Manchester. 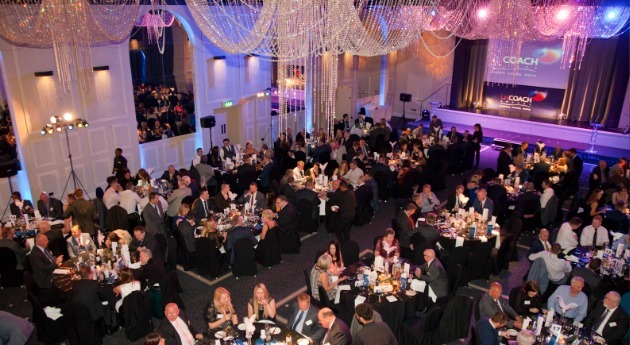 Guy Wadsworth, Chief Operating Officer of Mistral Asset Finance, said: “It was fantastic to see that the event was much better supported than in previous years which is testament to how the awards have gained momentum and prestige. “Coach operators are an important part of our industry and to be recognised at an award ceremony such as this reinforces best practice. 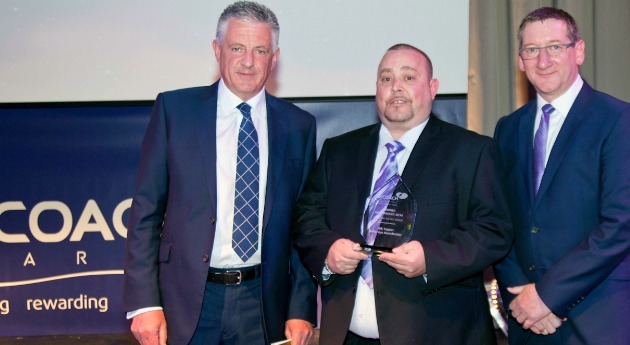 Mistral Asset Finance sponsored the Best Customer Service Award, received by Rik Tapper of Belle Vue Manchester, pictured (centre) along with Guy and CPT Coach Commission Chair Ian Luckett (right). “We would like to congratulate Rik and all the other award winners – the quality of entries was extremely high and I trust Belle Vue Manchester know the importance of the contribution to their business by people such as Rik,” Guy said. View the full list of winners now.